I love going to college football games- there is nothing like game days but, TBH, I am not going to wear some of the outfits that I see my daughter wearing – been there, done that when I was a student. I’m all about the Garnet & Gold on game days and I am somewhat about the fashion. But I also want to be comfortable especially on those Florida humid days when you are packed in a stadium and it is more than 90° out and the humidity is stifling. 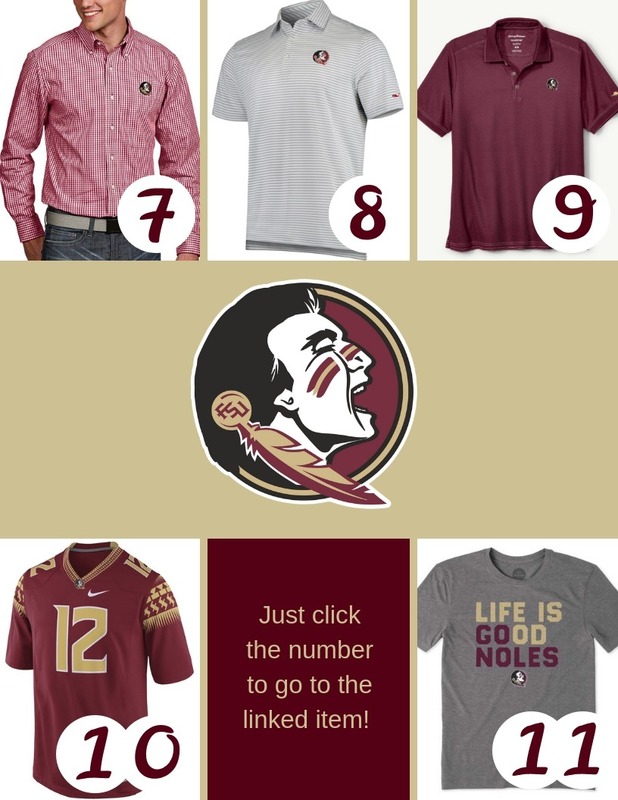 You can wear officially licensed ‘Nole wear or just dress in Garnet and Gold. Here are some great suggestions for us Moms and Dads from cotton tops and t-shirts to comfortable dresses for the moms and collared shirts, polos or jerseys for dads or just a super comfortable, breathable tee. 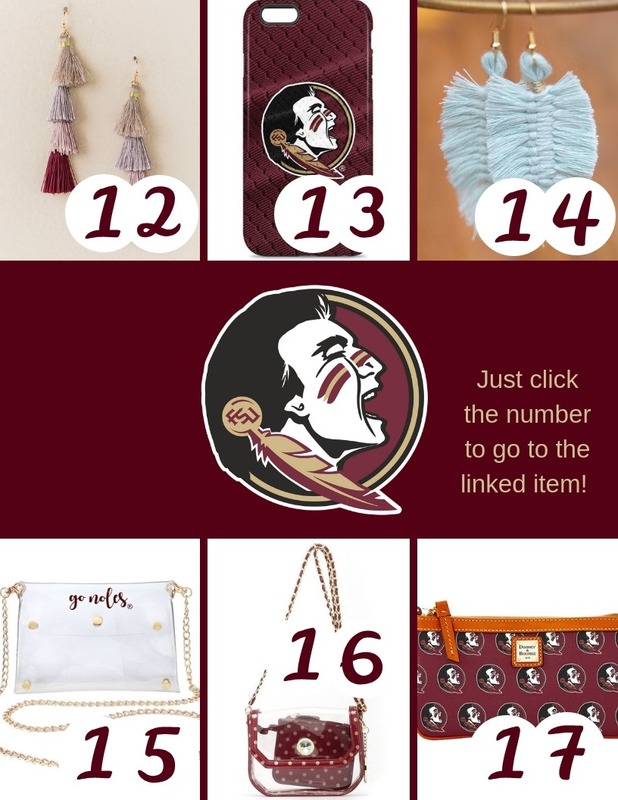 Throw in some accessories including a regulation stadium bag and a logo-ed skin for your cell and everyone will know you love the Seminoles! You will look great in this Tommy Bahama popular sleeveless button-front shirt decorated with a Seminole logo on the chest. It’s crafted from lightweight linen for a smooth and relaxed look at every game, tailgate or watch party. 100% linen. When you just want to rep the Garnet, try this lightweight Alexandra Ruffle Hem Shift Dress from Francesca’s. No one gets more excited for all the Florida State Seminoles games than you do. Showcase your intense fervor with this one-of-a-kind Striped tri-blend tank dress. It features vivid Florida State Seminoles graphics that will put your vehement team passion on full display all season long! Sure you can go around and tell everyone how dedicated you are to the Florida State Seminoles, but there is a much easier way to get your point across. Let everyone you pass know that you are a born and bred Florida State Seminoles fan with this Florida State Fear The Spear T-Shirt from Fanatics. This Life Is Good Women’s Florida State Heart Knockout Cool vee is Lightened-up with a laidback feel, their Classic Fit Cool Tee is garment washed for softness and cut to barely skim the body. For the Dad’s, try the Florida State Seminoles Antigua Associate Woven Garnet Long Sleeve Button-Down Shirt from Fanatics. 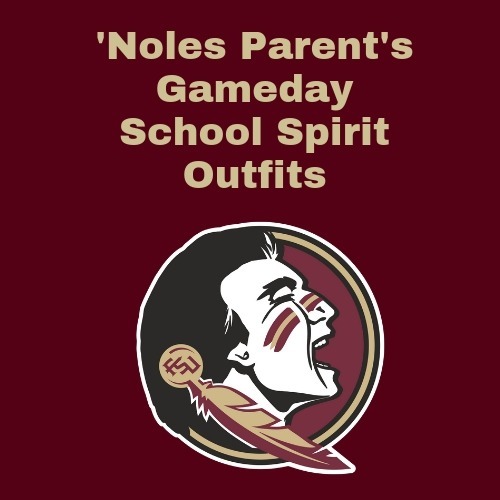 You pride yourself on showing your loyalty to the Florida State Seminoles all year long. With this Winstead Stripe polo from Vineyard Vines, you’ll be prepared to do just that. This classic shirt has distinctive Florida State Seminoles graphics that will proclaim your fervent fandom to everyone that sees you! From Tommy Bahama, bring on the tailgates and watch parties in this comfy polo made with super soft Pima cotton. Men’s Nike Game Jerseys fit true to size. We recommend ordering one size larger than you normally wear for a looser fit or up two sizes if you plan on layering underneath the jersey. This Life Is Good Lightened-up with a laidback feel, the Classic Fit Cool Tee is garment washed for softness and cut to barely skim the body. Fun and dangly tassel earrings subtly show your team colors. Accentuate your all-screen iPhone X with a premium 3M adhesive vinyl FSU decal skin, exclusively from Skinit. Use code huh25 and you will get 25% off your order (excludes gift cards, e-cards, and shipping). Try these macrame feather earrings, to round out your game day look. Have U Heard that the collegiate stadiums have a Clear Bag Policy for football games? Carry all your must-have items with you on Florida State game days in this Clear Gold Chain crossbody bag. This Seminole bag will make it clear for everyone to see you’re rolling with your home team. Or try this great garnet and gold polka dot shoulder bag that meets stadium security requirements. Take your zeal for the Florida State Seminoles with you wherever you go with this Dooney & Bourke wristlet. It features a detachable strap and chic leather trim, so you can carry your necessities in a fashion-forward way. Everyone will know which college crew you root for with the FSU Seminoles logo print on this cute piece. 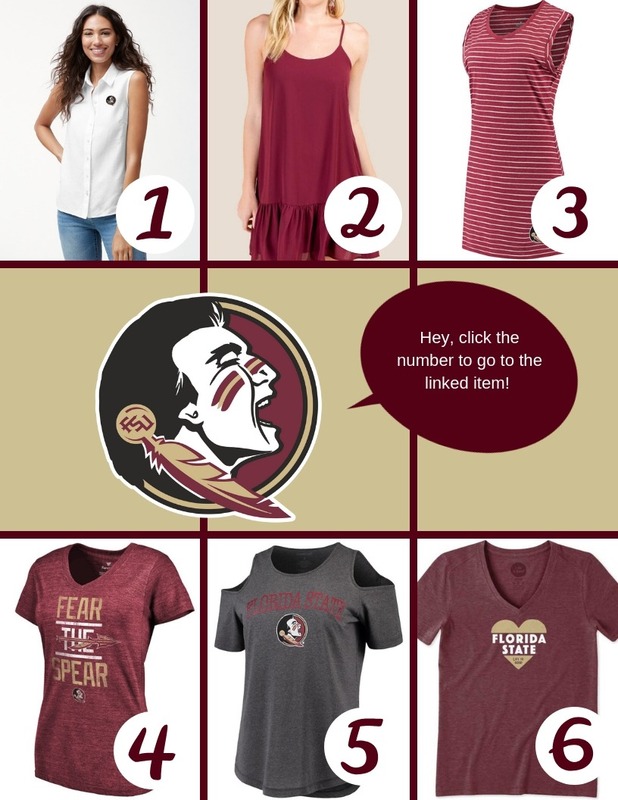 Show your Noles spirit, click here for pdf!